Lost River Cave is only the second certified Nature Explore Classroom in the state of Kentucky. This beautiful space beckons children of all ages to explore, imagine, play and learn. 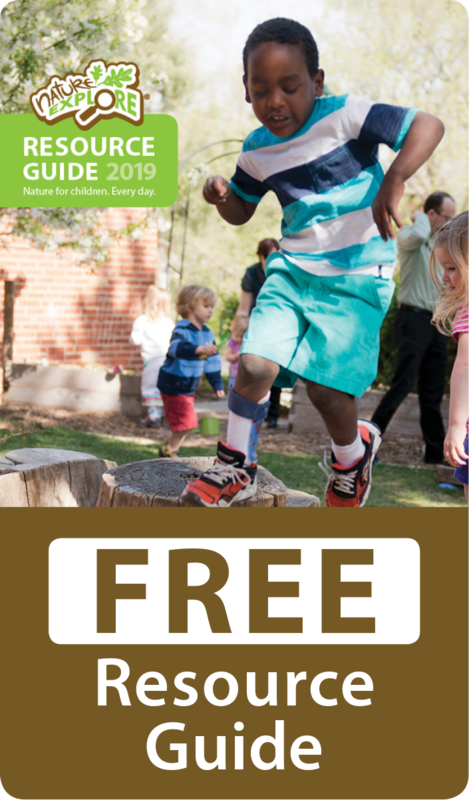 The Nature Explore Classroom allows children the freedom to create their own experiences in a structured-free environment with details and focal points that do not invoke pre-conceived ideas of interaction. 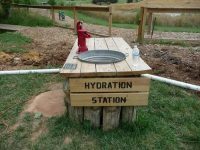 The children who visit find different ways to utilize the areas of the playscape to satisfy their own curiosity, imagination, and creativity. 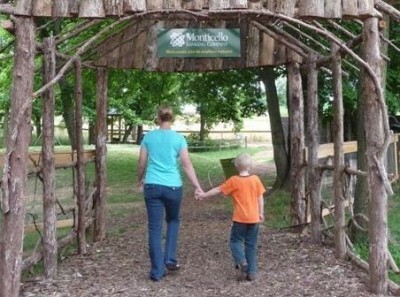 Children visiting the park with their families as well as students attending field trips with schools, find it a great place to stretch their legs and simply be a kid. 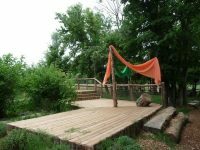 Classroom areas are delineated by using varying widths of space, existing trees, and man-placed natural structures such as tree trunks, rocks and mulched trails and garden areas. 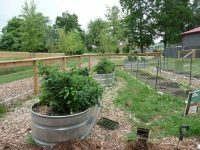 Many plants have been placed in raised beds or containers. Tree cookies, branches, large tree trucks, edible plants, fragrant herbs, pollinator plants, sand, and marble countertops have all been incorporated into the classroom. 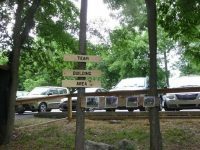 Areas have been given unique names on wooden signs such as: Busy Bee Play Area, Scout’s Lookout, the Fox Hole, Team Building Area, Nature Art Studio, and Thistle Theater. Many personal touches are intertwined in the design of the classroom. “Scout’s Lookout”, an overlook of the adjacent Wetlands, was named after the Property Manager’s (and chief engineer of the project) baby that was born during construction. The Eagle’s Nest was a feature designed and built by a staff member and the benches were hand-made by the maintenance staff. Within the art studio, marble stone countertops were donated by a local facility that wanted their stone to be part of the imaginative play of children. The Fox Hole, a stationary PVC tube buried in the hill side, is a representation of the cave systems that makes this area famous. The space has been personalized by using large float rock excavated from area construction sites allowing local businesses to share in part of the construction and provide a sample of Bowling Green’s bedrock. 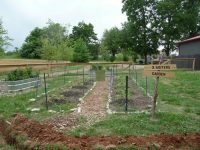 The pollinator garden was constructed as an Eagle Scout project. 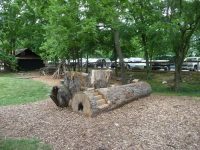 Unique features, such as the tree trunk couch, and climbing log with steps, were donated by a generous local saw mill. 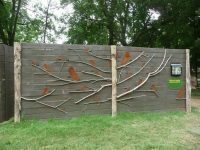 A donor wall, commemorating those who donated to the project and to the park, was included in the classroom. Even the gardens are added-to and freshened-up each year by local nurseries and Master Gardeners donating new and exciting bloom. Many features are maintained in order to keep the classroom looking its best. The garden areas have been outfitted with buried drip irrigation and utilize winterizing water features. Various metal patinas, natural wood signs, colored cloth, landscaped rock features and unique tree trunks help make the area visually interesting and appealing. Wood was used that will weather naturally and raw bark covers construction hardware. In order to sustain funding for the site, the classroom is featured on membership drive postcard mail-out and is mentioned in e-newsletters, Facebook posts and highlighted on the Lost River Cave website.